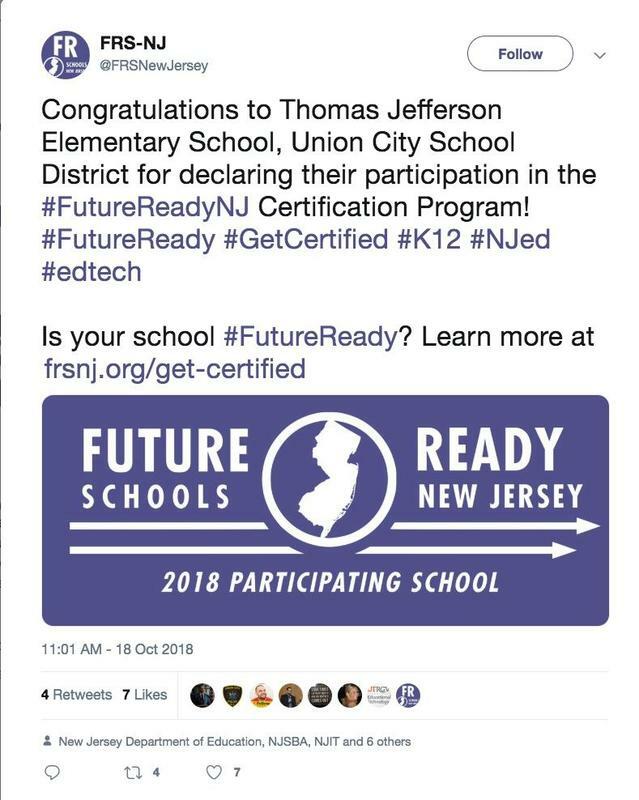 Congratulations to Jefferson School for Completing Phase II of Future Ready Schools of NJ Certification. A great accomplishment. The Jefferson School STEM Team: Marilyn Fernandez, Stephen Petric, and Gloribelle Hernandez.